They do things differently at Southern Oregon Sports and Spine; today I am going to explore their mission with doctors Marc Heller DC, Matt Terreri DC, CCSP®, and Heather Escobar DC. Greetings Marc, Matt and Heather. Thank you for doing this interview with us today. What is your mission and purpose? 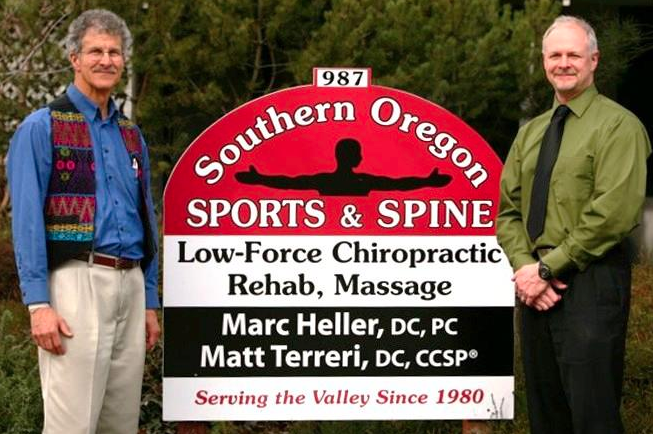 What do you mean when you say you DO THINGS DIFFERENTLY at Southern Oregon Sports and Spine? Marc: Our mission, our purpose, is to take the best care of you, our patient. This is our first and highest priority. We want that patient to be an active part of their own healing team. We tend to attract patients who are willing to be part of their own solution – people who value their health, time, and resources. We strive to help them get better as quickly as feasible and give them the tools to take care of themselves outside of the office as well. Active, engaged, and positive patients respond well and find out quickly what works best. How is our practice different? We are Chiropractors first and foremost, and we also incorporate many different approaches and disciplines. We don’t just adjust someone over and over. We know that figuring out exactly what is causing someone’s pain is critical. Getting well is a 24/7 challenge, not just what happens during treatment. First, patients have to learn how to stop hurting themselves. We will teach them what movements and exercises to avoid as well as the ones to do. A patient needs to know what exercises will relieve pain, and know what exercises will help rebuild injured and painful areas. We want to share these with our patients. When soft tissues are too tight or too weak, we use ART, Graston, and other soft tissue methods to release and stimulate the muscles, tendons and ligaments. We focus on low force manipulation techniques, which are safer and gentler; especially for the elderly, the recently injured and children. Another facet of treatment that often gets missed is the actual management of a patient’s condition – having a plan A, B and C. We want to track whether they are getting well, and change the treatment or refer out if they are not responding. Matt: We are result oriented. We experience our patients’ getting better quickly on a regular basis and we expect that. If you are not responding we are not afraid to reach out to our wide network of both medical and alternative practitioners and help you get the right help. Heather: As the newest addition four years ago to the team, I love the ability to practice part-time, be a mother to my kids, and also help with office coverage if Marc and Matt are away. While I’m continuing to develop my own patient following, it is a unique opportunity to be able to step into their shoes and glimpse first-hand the care Doctors Marc and Matt are providing, typically with a unique, detailed approach. They are amazing chiropractors. Our office really does put the patient first – we work together, learn together, and if there ever is a challenge, it’s handled professionally and efficiently. It is a delight to come to work every day and I think that is reflected in patient care. Please talk more about your global approach to your practice. Marc, you have lectured and taught all around the world. You have clients flying in from around the world to work with you. Matt, you have worked with the US Olympic Team. Heather, you have a unique perspective in working with moms, pregnancy, and kids, being a busy mom yourself. Marc: I am a regular columnist for a national chiropractic journal. I have been fortunate enough to have taken over 300 continuing education classes, studying with osteopaths, chiropractors, PTs, and trainers. This has helped me develop a somewhat unique approach. I have taught this model in the US and overseas. Through my writing, teaching, and YouTube videos, I have been able to share these concepts with thousands of practitioners and patients. Patients who have failed elsewhere find me, and come to Ashland for our care. I have had international patients, as well as patients from throughout the U.S. I am honored to have people respect and appreciate our unique work. Matt: I am trained as a Certified Chiropractic Sports Physician, and am part of the US Olympic team’s volunteer medical staff. I was assigned winter sports at Lake Placid last year, and am going to work with various sports in Colorado Springs this year. I am also the chiropractor for the Southern Oregon University Raider athletic teams. This extensive experience with sports medicine influences how I treat all of my patients. I like to think that everyone is an athlete – at least to some extent. Everyone can improve their performance, even if that just means getting better at getting out of bed and going up the stairs. Being a sports physician also requires that you can cooperate with all other disciplines to help get a patient better. There are no “rock stars” or egos in sports medicine- the focus needs to be on the patient. I love using various modalities including exercise rehab, Active Release Technique, Kinesiotape and Graston Technique as well as adjusting. Heather: I have specialized education and certifications in Pediatrics through Logan College of Chiropractic Post-graduate program and in Pregnancy with the International Chiropractic Pediatric Association in the Webster technique, which is a specialized protocol for restoring balance and proper function in the pelvis for an optimal pregnancy and labor. Recently, I have been helping kids who struggle with developmental challenges such as sensory processing and integration, coordination, abnormal primitive reflex patterns. These kids’ bodies aren’t responding appropriately to environmental stimuli and I work to help them change that. What would you describe as some of the key elements that make your team a success? Marc: Once again we put the patient first. We also really like each other. We have a fabulous patient centered staff, led by Barbara Hansen, who has been our office manager for 30 years. Great doctors are only as great as their support teams. We have a great team of licensed massage therapists and chiropractic assistants on staff, who not only are great bodyworkers, but also are trained to help teach our patients better movement habits and exercises. Our doctors’ combined experience at this point is a full 68 years. Our combined experience approaches 100,000 hours, and we continually strive toward expertise and excellence. Matt: One of the best aspects of our jobs is cultivating and coveting special relationships we develop with patients. Living in a small town seems to make for much more meaningful relationships. For example, I remember visiting a patient who was ill in the hospital as well as visiting the Shakespeare Festival to help them devise a harness that allowed actors to “fly”. Being genuinely interested in your patients and how their favorite activities may be impacted is paramount. Heather: Our care is not just about getting people out of pain. In working with our patients, we inevitably learn what activities they can no longer perform and that they miss – Grandma being able to cook with her grandkids, Moms being able to lift and hold her baby, athletes getting back in the game or to the gym, workers and students able to perform at their best. Restoring those activities is what really matters. The highest compliment we can receive is for a patient to refer in their loved ones. It’s a pleasure to help multiple generations of families through the different challenges that each stage brings. Whether we’re helping a newborn with torticollis, to sports injuries at all ages, to pains from house and garden work, child carrying, to arthritis, to falls, to car accidents, we treat each person individually and with a focus to their unique needs. Your team is also very honored to continually receive (and send) referrals from and to practitioners around the valley. Marc: Historically, chiropractors, as alternative practitioners, have been isolated. 37 years ago, when I started my practice, I made it a point to engage with other medical practitioners. I sent them chart notes. I called them about challenging patients. I made referrals to medical specialists and expected referrals from them. I called it my 20 year plan. When Matt joined me, 11 years ago, he was surprised at how connected our practice was with the rest of the medical community. Marc with over 37 years of practice under your belt, what do you still find interesting and challenging to work with? Marc: First, even after 37 years, I love coming to work each day. I really love meeting new people. I just love that I can help people, who often start out with their pain at the center of their life, to helping them feel more like themselves. I recognize that people in pain are not themselves, and are wearing the mask of pain. I love it when I walk in the room on the second or fourth visit, and see someone smiling and happier. After over 40,000 hours of practice, I am usually able to zero in on the sources of their pain, and see the various layers of it quite quickly. I happen to love chronic back pain. Most patients who are in chronic pain are used to doctors who consider them a hassle. I love the puzzle, exploring the various aspects of what can change the pattern. I love the ah-ha moments, when I can observe some little thing; the way someone moves, or what he or she says, that can give me another clue. Heather, Marc and Matt. Something resides deeply with you all is the ETHOS of ‘DO NO HARM’? Matt: There are too many horror stories out there. Look at Steve Kerr, the coach of the NBA champion Warriors. Two years after back surgery, he still has debilitating headaches. Surgery and injection therapies are inherently more dangerous, so exploring conservative options first just seems prudent. In our field, we have seen plenty of patients injured by a chiropractor or physical therapist. We attempt to minimize risk, through proper diagnosis, conservative care first, and low force manipulation. Please share some recent testimonials with us. Please tell us a little bit about life outside the practice? Marc: I love and appreciate my partner, Beth, and our marriage of 43 years. 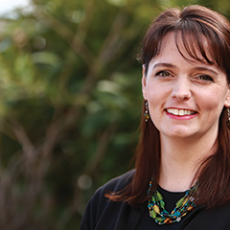 Beth has been part of the practice from day one, and has been one of our massage therapists for the last 28 years. We have two sons, and two granddaughters, and stay connected with them. I have always been an outdoor guy, and love hiking, skiing, paddleboarding, and camping; anything outside in beauty of southern Oregon. Matt: I moved to Southern Oregon over 11 years ago to join forces with Marc. I am also a professional drummer who plays throughout the valley including regular gigs at the Britt Festival and the Craterian Theatre. My wife and I also enjoy camping, hiking and spending time with our three kids and four grandchildren. 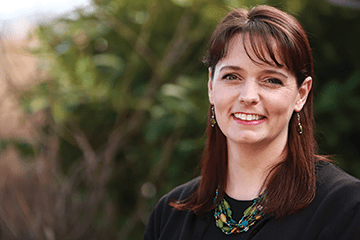 Heather: I moved here 5 years ago with my husband and three young children. We enjoy camping, hiking, and reading and calling this beautiful valley home. You can likely bump into them at sports at the Y, school, local parks, and, hopefully this summer, a lot of campgrounds in Oregon. We are so honored to be of service here, to be able to help people. We hope that we can help inspire you to take the best care of yourself. Little things can make a big difference. You can get better. You don’t have to live with your pain. Dr. Brandon White – White Dental Studio Welcome to your national monument!